I found out about this myBurgerLab from a friend of mine who posted a picture of it in Instagram. The minute I saw it, I went gugugaga. A bloody freaking black colored burger! I was ohh-amm-geee I so wanna eat that thing. This brilliant concept was established by 3 brilliant guys who thought about it out of the ordinary box. 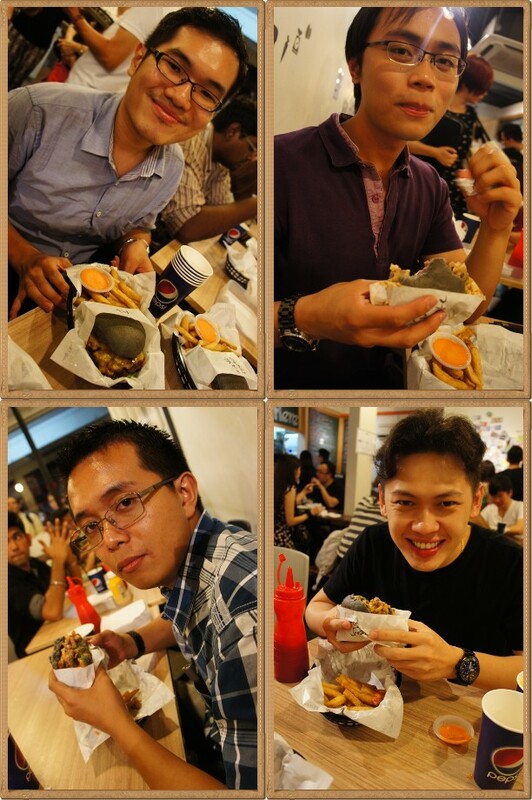 myBurgerLab operates every Tuesday to Sunday starting from 5pm to 10.15pm. Here's their location : No. 14, Jalan 21/22, Seapark, Petaling Jaya. Additional of RM6 for a set meal which consist of fries and a cup of carbonated drink which i refillable. Varieties of weird and unique burgers. The boys with their burgers. Finally I get to lay my hands on that lil' monster burger. 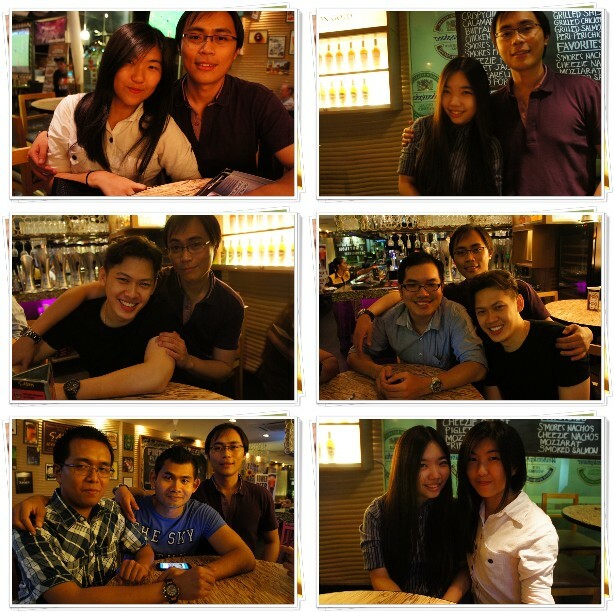 So happy to meet up with old buddies. After myburgerlab we stopped by S'Mores to chill out. We went for a third round later on. As if having a burger a day is not enough, the guys decided to order another HUGEASS burger for supper in Asia Cafe. Too much burger consumption in couple of hours. As big as my face.